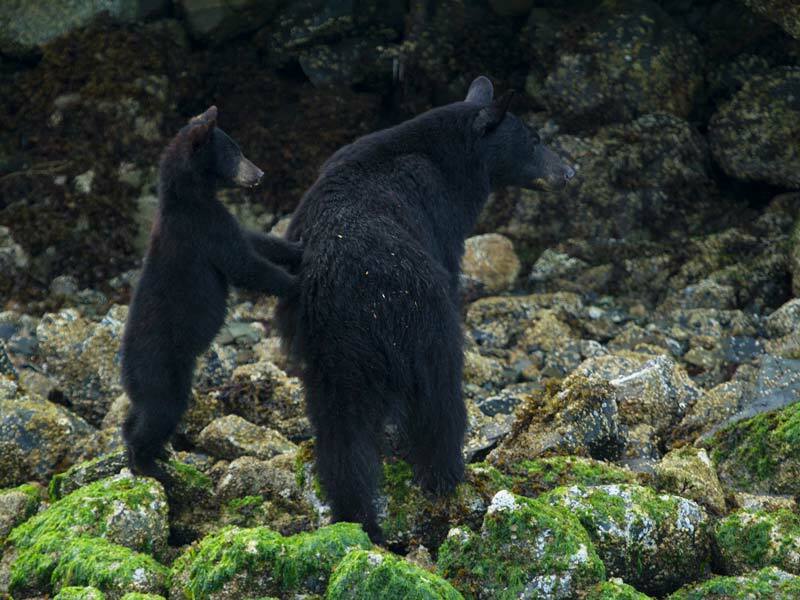 Tofino’s Clayoquot Sound offers the most incredible coastline for viewing black bears. 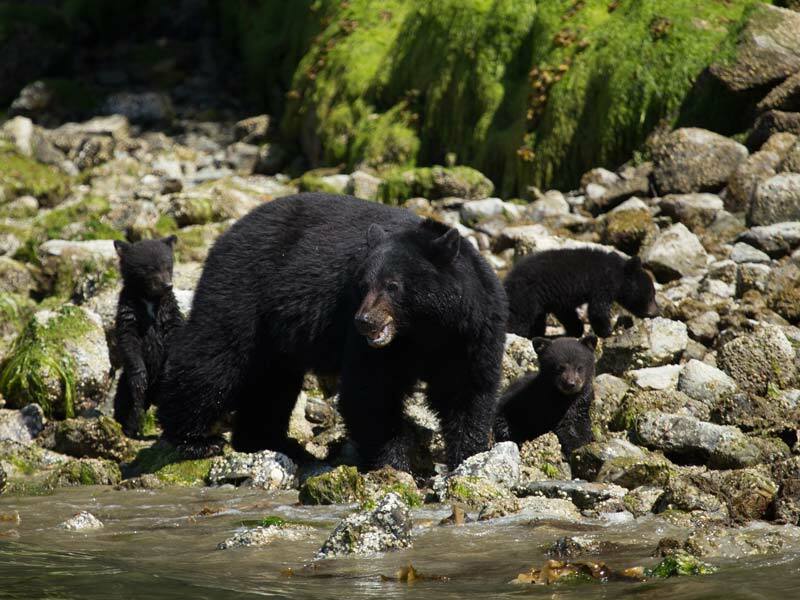 Our bear watching tours cruise through the protected and calm waters surrounding Meares Island and other scenic small islands throughout the Sound. 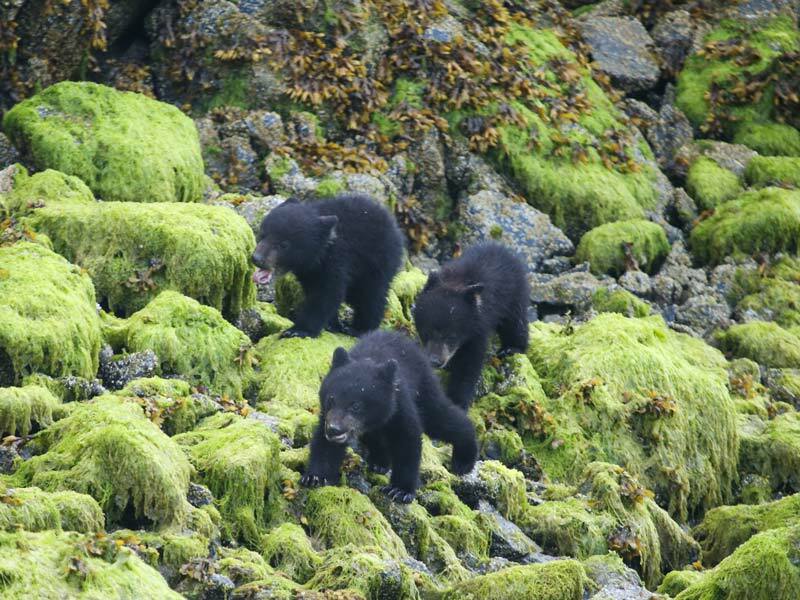 Clayoquot Sound’s resident bears come down to the beaches at low tide to forage for such beach delicacies as rock crab, starfish and even a bit of kelp. They are an absolute pleasure to watch from the boat and thanks to their poor eyesight they are usually unaware of our presence so long as we keep quiet and a respectable distance up wind. You will also have grand opportunities on this tour to view an eagle aerie, harbour porpoises, seals, river otters, blue herons and other species of wildlife! Our tours are offered as soon as the bears wake up from winter hibernation, which is usually sometime in April or May. The bear viewing season winds down as the bears head up river to feast on salmon, usually sometime in October. 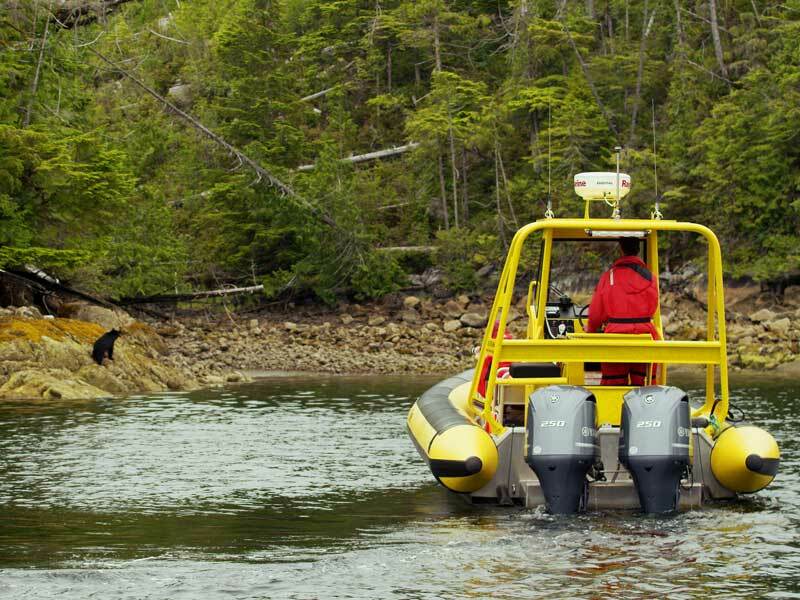 We offer bear watching tours in both covered family boats and adventurous Zodiac boats. Please note that daily departure times vary with the tidal schedule. *Departure times vary depending on tides & daylight. We do our best to please everyone but cannot always guarantee vessel type unless you are traveling with children under 142cm tall. In order to eliminate any possible human food conditioning of bears or wolves, no food or beverage other than water can be consumed in bear/wolf viewing areas. Smoking is not permitted in bear/wolf viewing areas. Flash photography devices are not permitted when viewing or photographing bears/wolves. Noise and movement must be kept to a minimum aboard the vessels. Viewers must not signal the bears in any way using hand motions nor auditory signals. Guests are advised not to wear strong smelling deodorants or perfumes as bears are particularly sensitive to olfactory cues. Do you want your own private bear watching tour?